A tall man saunters off of the stage after winning his pool match 2 – 0, blinking away from the harsh lights above the cameras to find his friends, his fellow competitors, in the audience. Nairoby Quezada goes by ‘Nairo’ when he plays, and that’s the name a small bespectacled boy calls as he frantically waves at the player. As a high five and a thumbs up from the Super Smash Bros. for Wii U star lights up the child’s face, Nairo says, “Yeah, that’s cool”. Nairo says he stays cool before matches, he stays cool during games, and he’s cool with his opponents though he’s watching their every move, on-screen and off. 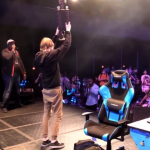 He’s just 20 years old, but he’s been playing in Smash tournaments for nearly half of his life, making him a veteran on the scene – and it shows. 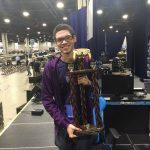 Whether it’s breaking TSM ZeRo’s 56-tournament winning streak by taking first at the 2015 MLG World Finals or defeating his brother’s old rival and 2016 EVO champ Ally at Smashcon 2016, Nairo seems to keep his chill when it counts and it’s been a key part of his success. 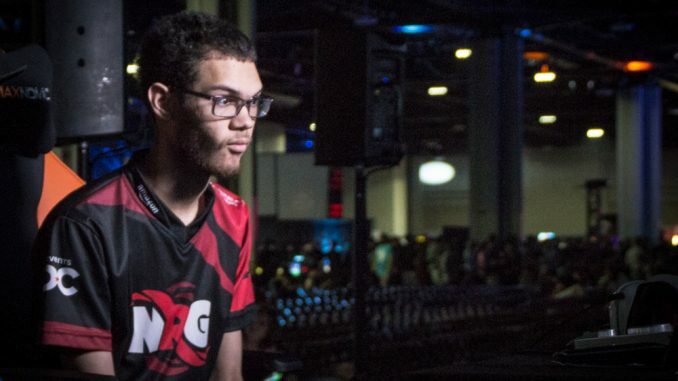 Esports Source’s Kim Newsome caught up with Nairo at DreamHack Atlanta, where he placed 4th after going on an incredible Loser’s Bracket run and defeating the number one player (and his doubles partner) ZeRo along the way. Editor’s Note: This interview has been edited for clarity and brevity. A video version of the chat will be available in the coming days. KN: EVO is over and done so what are you working on now for 2017? Nairo: Trying to make my stream bigger. My stream is already pretty known, but I’ve been traveling to all these tournaments and I have a two or three week break so like – besides that tournament wise, Smashcon is coming up. I already won last year but I really want to win this one and defend my title. So that’s what I’ll be focusing on- those two things. KN: What is your greatest career achievement so far? 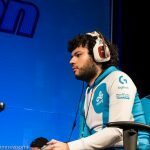 Nairo: I’d probably say defeating ZeRo at MLG. 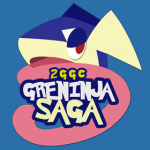 Everybody knows it, no matter how old the game gets, it’s going to be like the number one thing in Smash 4 history. Like, his  win streak or something like that. It was eventually going to break, but who was going to do it, nobody knew, and it finally happened. So that’s a pretty good victory. KN: So what was your most heartbreaking loss? Nairo: Ranai at EVO 2016. I had the game winning, set winning play, and did something completely different by accident. Like [it was] literally a pixel, something close – and then I ended up losing the set and then I ended up getting 13th. And had I won that, even if I hadn’t won the tournament I would still have at least gotten ninth place so, at least better than what I ended up with. So that was unfortunate. Or maybe versus Fatality at Civil War ’cause everybody, all like my biggest threats were eliminated, so everyone thought ‘oh Nairo’s going to win this easily’ but obviously that puts pressure on me. I can lose to anybody, anyone who’s really playing well, and it happens, so I kinda had that – but it happens. KN: How do you usually deal with pressure? Nairo: I don’t really do any like meditating or anything like that. I just wait, and when it’s time to play- I don’t really get nervous, or like it goes away. I can tell they’re either as nervous as I am or way more. KN: So you read their body language? Nairo: I can just tell by how their moving. KN: Are there like, a lot of mind games in this? Nairo: Oh yeah, oh yeah. KN: What do you guys do? Nairo: Mind games in terms of seeing how their moving, and what options they’re going for. I can tell if they’re messing up or doing something on purpose. So you just use that to your advantage. Some players wait to use that to their advantage to prepare for certain things – like they keep it in their head the whole set, until one moment that matters the most. It’s a lot of stuff. KN: Let’s talk about how you got into Smash in the first place. I read about your brother’s pro career – how did that affect you? Nairo: Brawl came out in 2008, and him and his crew basically hosted a tournament and it was really close to me like less than a mile away. I entered, ended up not winning but it was okay. I mean I got bodied, but it was still really fun to do. I wanted to keep going but I was in school though, like I was in 6th grade, so my mom said don’t do that. I had to kind of balance [gaming and school] whenever I started going to tournaments more and more. KN: I mean you said that you were in 6th grade. You’re only 20 right? You’ve been doing this a really long time and you’re still only 20. What was that like competing when you were 11? Nairo: Well everyone was older than me. I mean now I’m not the youngest one so it’s pretty cool but before then, yeah it was definitely weird. But then I got used to it. That’s just how it is. Like if I didn’t have my brother or teammate or someone like that, it would be hard for me to get to tournaments. I mean everybody else is old enough to drive and know where to go and stuff like that. KN: It seems like everybody around the top gets along, but you guys still have rivalries. Who would you say is your rival right now? Nairo: Probably KEN, he’s from Japan. We’re even in sets and games. …we’re friends but obviously he’s Japanese, I’m [American] so we can’t speak much, but I’d still say him. And there’s probably a few more rivalries, but… I mean, I’ve known ZeRo since like 2012. …so we can’t really hate on each other unless something like bad happens. We’ve [all] known each other for so long that if something does happen we just talk it out. KN: What about sort of the influx of newer players? Have they been slotting in pretty well? Nairo: Yeah the newer players right now or when they first get in, they stick to their group of friends but then eventually they branch out. 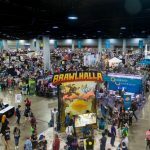 Going to all these tournaments and seeing more players – eventually they get to know and feel more comfortable attending tournaments. KN: Smash seems like it’s bigger than it was last year- what do you think is the reason for the change? 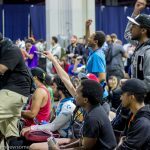 Nairo: I feel like Smash is very popular in general, and a lot of people just don’t even know there’s tournaments. For example at EVO there was Disney and ESPN and there’s got to be a decent amount of people who were like ‘What? There’s smash? There’s tournaments? It’s very cool’. It’s a very popular series with popular characters and third party characters that people like so there’s that. Even then like, people like melee because it’s fast, super fast, and Smash 4 has hype plays, so it just seems to be getting bigger and bigger as the days go by. KN: What would you like to see to grow the Smash scene? Nairo: The easiest answer would be like pot bonuses. Something like that. We’re not talking like [League of Legends], like maybe talk about more when it’s a big tournament like EVO. At least they did it for EVO. That’s probably the best support we’ve gotten. I mean it’s understandable, [Nintendo doesn’t] make Wii U’s anymore, so why promote a game that people don’t have access to, or that people will have to buy it from somebody else? They’re not making anything. Unless they make it for the Switch, then it makes sense. So if it does come out on the Switch and they don’t do anything then I don’t know what they’re doing. But I would put money on that if it does come out on the Switch or DS, they’ll heavily promote it.